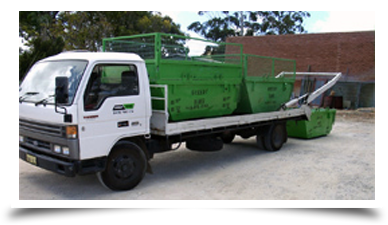 Are you need of a skip bins hire Wanneroo, only one name commands quality, effectivity and affordability, Greedy Bins. We provide the best waste removal and disposal service in the area. If you are looking for a friendly, reliable and affordable service to take care of all your waste disposal and management problems, Greedy Bins is the right company for you. We have more than a decade of experience under our belt and we have built our reputation by providing only the best service in the market. We offer personalized skip hire services that are properly tailored in order to fix all your waste disposal problems. Here at Greedy Bins, we understand that waste disposal is a problem that needs urgent attention. That is why we always deliver on time, if not ahead of schedule. We have never been late and we hate delays. We also understand that waste disposal problems can arise any day of the week, which is why we are open seven days a week. Our office desk is open from 7:30 am to 7:30 pm and we have standby service assistants ready to take your call anytime. Our friendly customer service assistants are professionally trained to give you accurate estimation and reasonable quotes to cover your skip bins hire needs. We believe that quality should not come at a cost, that is why our business is highly recommended for its reasonable pricing. We have a wide range of skips bins to take care of any waste disposal problems. Our smallest skip bin size is 2.5 m3 and that should be enough to take care of household garbage. On the other hand, should you need larger bins, we also have a 4.5 m3 bin. Our mission is to provide our clients with the best environmentally-friendly waste disposal solution. That is why when you need skip bins hire Wanneroo, Greedy Bins should be your first choice.